If anyone has it for sale. I will buy it from you at a very nice price! Oh, my bad. How about that? Image is working now, unfortunately I'm not much help. Good luck with finding it though! You would miss the lifesaver ad and the other little ad, but you'd still have 80-85% the same image. Obviously this doesn't apply if you are concerned with having exactly the official sega sponsored item. Right, this is true. 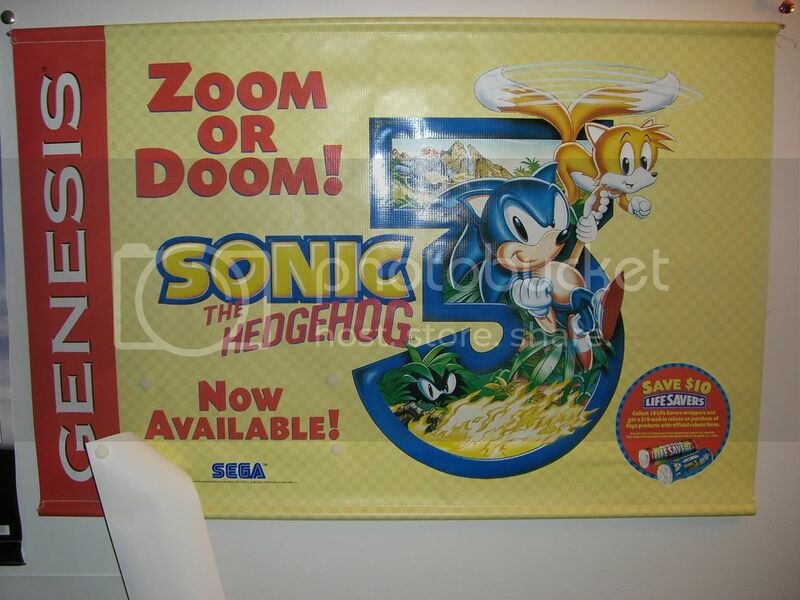 I already have the official Sonic 3 banner so in this case I am trying to find this one officially too. Due to it's simplicity a lot of it can be vectored. Maybe if I knew someone who could print it out on vinyl I wouldn't mind as much. Yeah, I already have the Sonic 3 one with the lifesavers removable date in tact. I remember this one from when I was younger too. 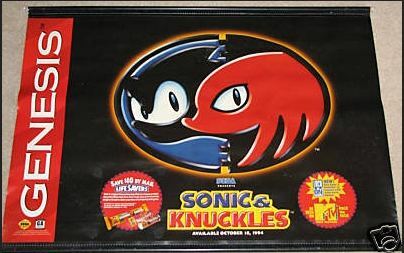 If I could find this or a Sonic 2 banner it'd make my life! I REALLY want this thing!